Confused? Read more about how Easter’s date is determined. All dates and times are Eastern Time. See the Moon Phase Calendar for your city/state. Historically, Native American and other traditional names for full Moons were used to track the seasons. Note that each full Moon name was applied to the entire lunar month in which it occurred. There are many alternative names for the March Moon. One name was the Full Sap Moon, as this is the time of year when the sap of sugar maples starts to flow. An alternative name for March’s full Moon is the Full Sap Moon, as this is the time of year when the sap of sugar maples starts to flow. Each month, we will explain the traditional names of the Full Moon along with some fascinating Moon facts. In this video, learn about the Full Worm Moon, Moon illusions, and when and why the Moon rides high or low in the sky. Click below to watch the video. Below are the best days for activities based on the Moon’s sign and phase in March. See more Full Moon Names and share your thoughts about this month’s Moon below! This was so interesting a little complicated...I had to read it a couple times to get it in my head...but so interesting...I didn't or had not ever heard of how we get the date for Easter and I am Catholic. Thank you very much. What about those of us who live in the other hemisphere p!? We’re heading into autumn (or fall I believe you folk call it)- how does this full moon relate!? How do the names of the full moons relate to us here, or are they, like many of our experiences- ‘opposite’!? I’d really love to know! Hi Fiona, That’s a very interesting question! 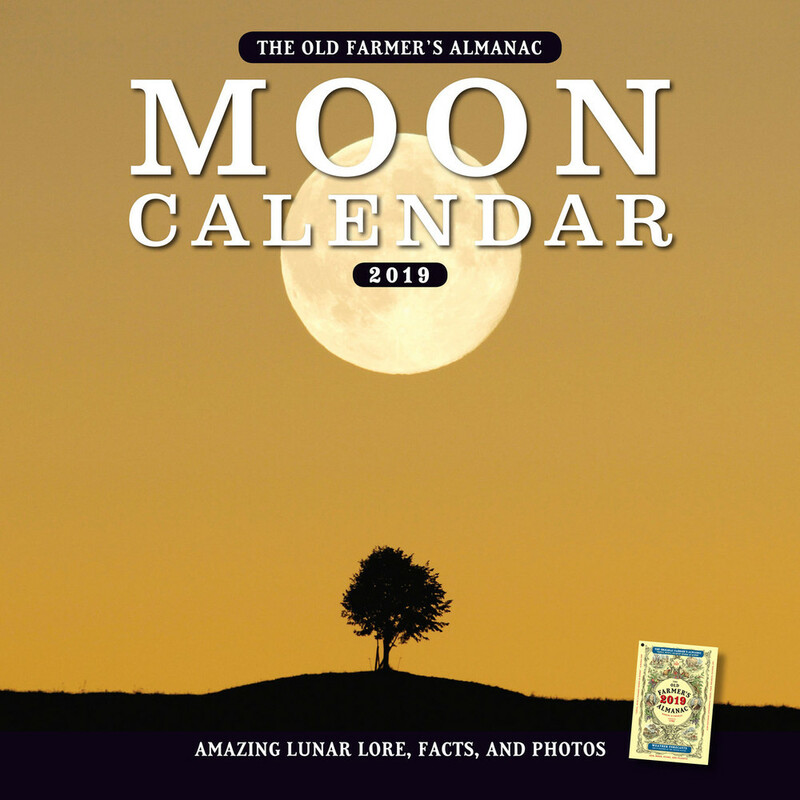 I think it’s a first for us.The Old Farmer’s Almanac is a North American publication founded in 1792 when George Washington was president, so our Moon names come from a history of Colonialism and Europe heritage as well as the Native American influence. So, it may be interesting to look at your early culture and especially consider the native peoples. Also, many of the Moon names are based on what’s happening in nature so you would want to look at some of the natural biological cycles in your region. I’m sure you have different plants and animals and weather! Then again, you’re welcome to borrow the same names but “reverse” them. For example, if the Harvest Moon is nearest the autumnal equinox in the Northern Hemisphere, then you could call your March Moon (nearest the vernal equinox) the Harvest Moon. Keep in mind that many Moon names do not apply to all of the U.S. regions either since we immigrated from Britain and Europe and also first settled in the Northeast. For example, we call the June Moon the “Strawberry Moon” because early Americans harvested in June; however, people in the Southern U.S. will have already harvested in February. It’s just a nod to our heritage. And it’s a fun way to think about the lunar calendar! time of the moon rise. Before going to the dentist for any work, check the date of your appt to see what part of the body the moon sign is in. If in the head, do not have dental work done, it will not take... This has happened to me SEVERAL times and now I tell everyone who's going to the dentist! Parts of the body were traditionally associated with the signs of the zodiac (Aries, Virgo, etc. ), represented by the Man of Signs. Currently, we are in the time of Aries (March 21–April 20), and because Aries is associated with the head, it is considered by some to be a bad time to have medical work done on the head (including the eyes, mouth, and so on). My Dad use to tell me this about the moon when I was young, like when to slaughter hogs, trimming the hedge. I also noticed as I got older that sometimes after a haircut it seemed to grow so fast and other times not so fast. Now I try to schedule my haircuts by the moon. Is there any validity to things thinking? I have been getting my hair cut for years now with and without a full moon. Still have the same bald spot! Sign me up for your newsletter please. Thanks! It drives me crazy seeing all these websites saying that the Full Moon is called either the Worm Moon or the Crow Moon. No body knows how to research. So let me educate you all. The Full Moon is called the STORM MOON. It is called that because of the seasonal storms to come. The Full Moon Names we use in the Almanac come from the Algonquin tribes who lived in regions from New England to Lake Superior. They are the names the Colonial Americans adapted most. Note that each full Moon name was applied to the entire lunar month in which it occurred. It might interest you that the August Full Moon has been called the Storm Moon in the Southern Hemisphere. It drives me crazy hearing people think that they know everything and just because someone has something different to say they must be wrong. The farmer's almanac has been around since Christ was a carpenter and have used these terms all that time. You may have different terms but they are using Algonquin terms which have probably been around longer than whoever made up your terms. The answer you are looking for is before the story of "Christ". The correct name for the full moon of March is the Chaste Moon. Your welcome. The Farmers Almanac will refer to the March full moon as names adapted from the northern Native American tribes because that is when snd where The Farmers Almanac was published. It hasnt been around since "Christ", it's been around since George Washington. It was published by Benjamin Franklin first as Poor Richard's Almanac and has been a seasonal go-to ever since. Of course Im sure there are many other religions and regions around the world that have the same concept of an almanac and have probably been around for way longer. But "The Farmer's Almanac" is only around 300 years old. Also the moon has many names :) so dont be upset when people refer to it by it's regional name. In many northern areas, this is what it's known by. I've also been told full moons are a great time to deform horses when scheduling. Seems I should wait until March 16th to deworm my horses this spring. Yes, worming during the full moon is the best time for your horses health. Here is an excellent product to consider. I must say I did get a chuckle about planting of crops, at least here in the North East, there is way to much snow, and we have had such cold weather that the ground is still frozen beneath the 2' of snow on the ground. That would be a bluebird in your video, a cousin of the American Robin.